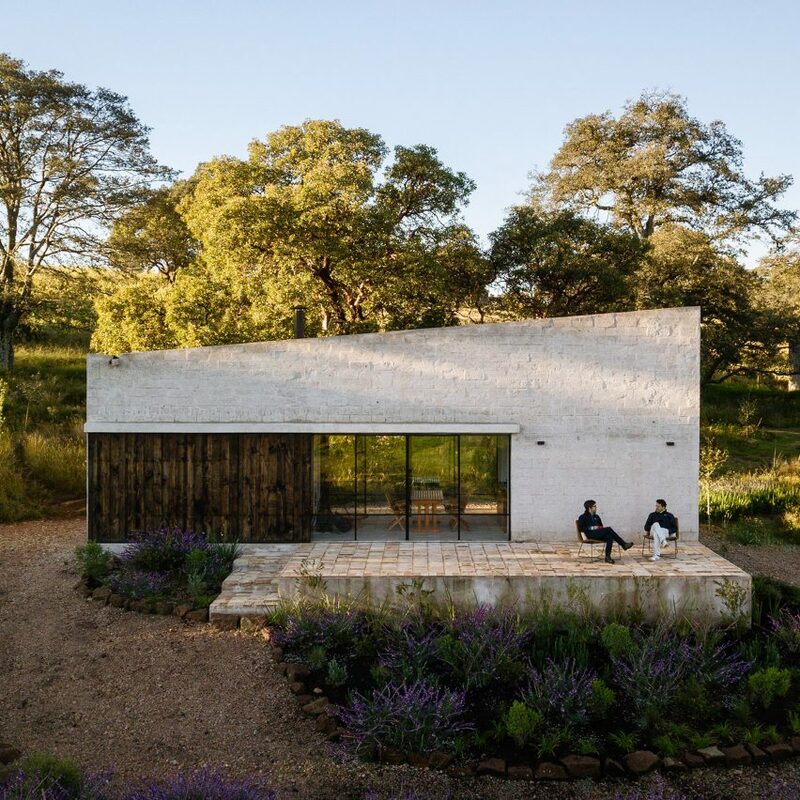 Stone sourced from a nearby quarry was used to build this house in Mexico, which architecture studio PPAA Arquitectos designed for two brothers who wanted to get away to “the middle of nowhere”. 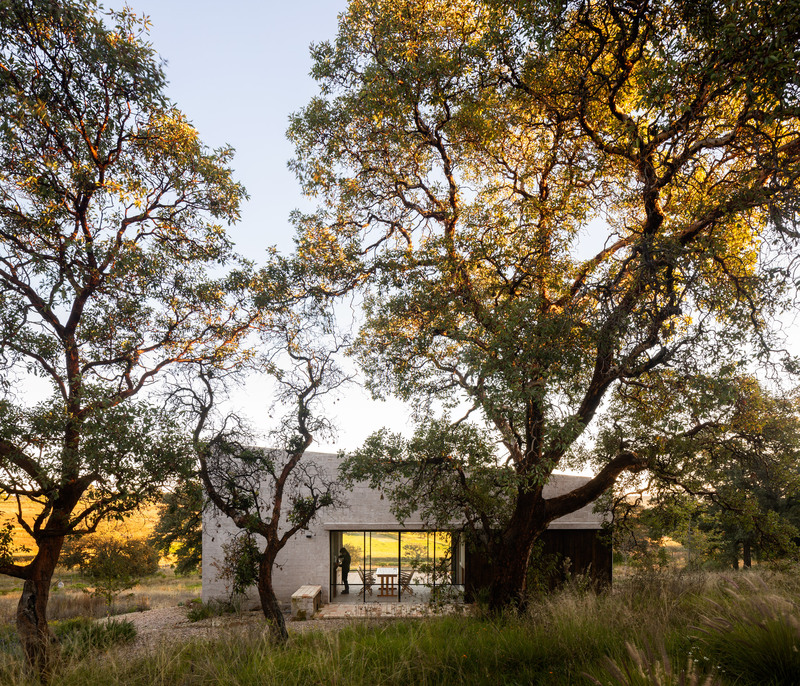 After first spending time reforesting the property, the brothers enlisted the architecture studio to design the 90-square-metre getaway. 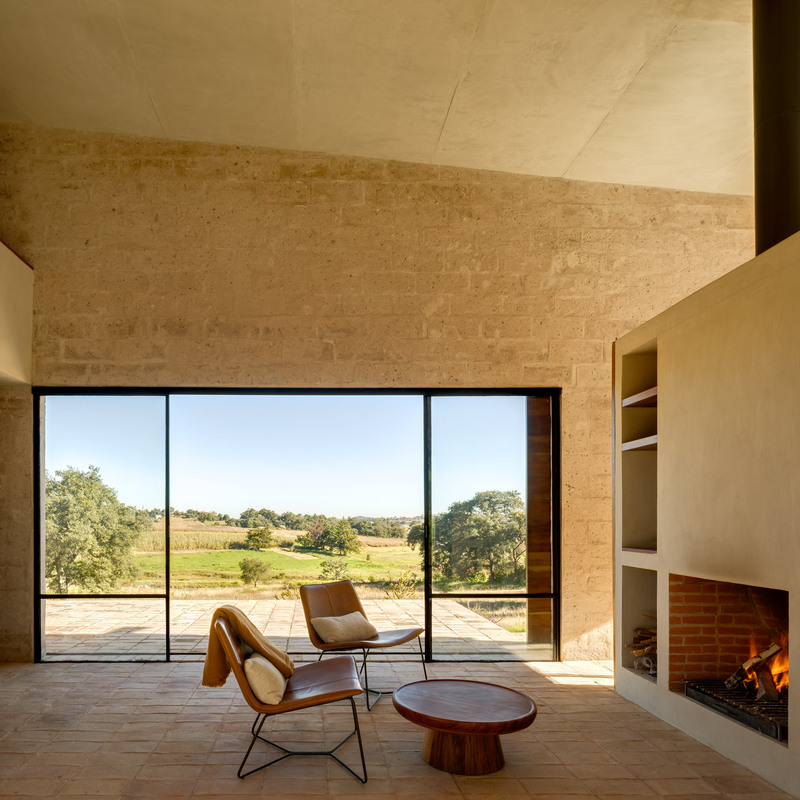 PPAA Arquitectos describes it as “completely isolated in the middle of nowhere, surrounded by nature”. 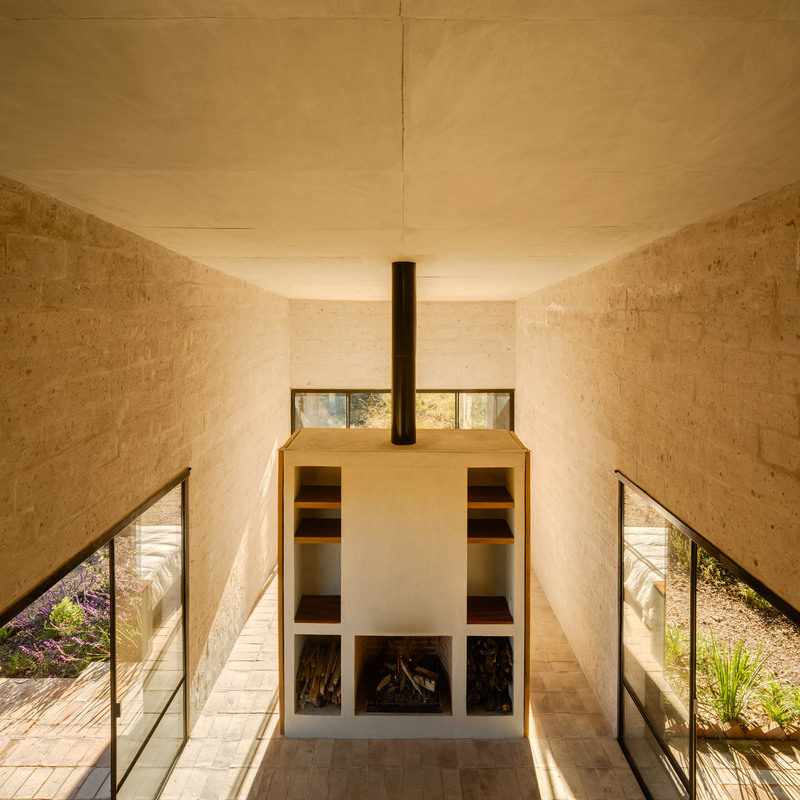 PPAA Arquitectos also chose clay for the building’s floors, and local lumber for other construction elements. 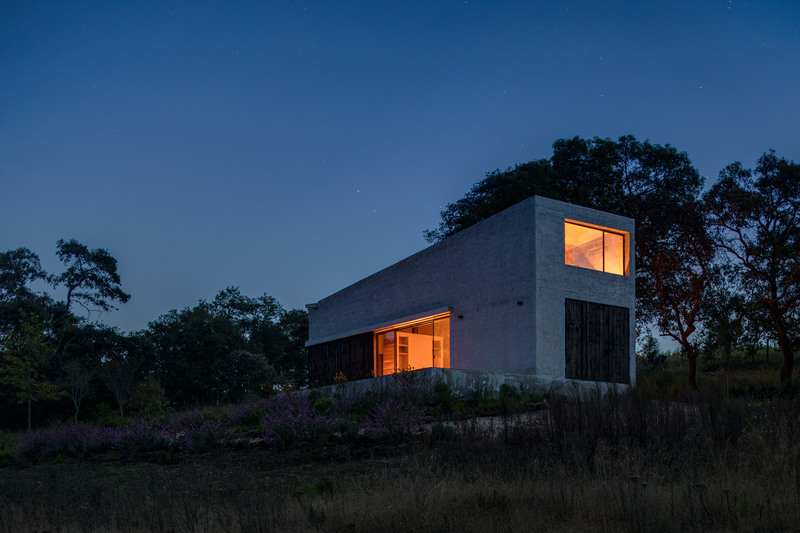 “We left every material in its raw state without covering it,” said PPAA Arquitectos in a project statement. 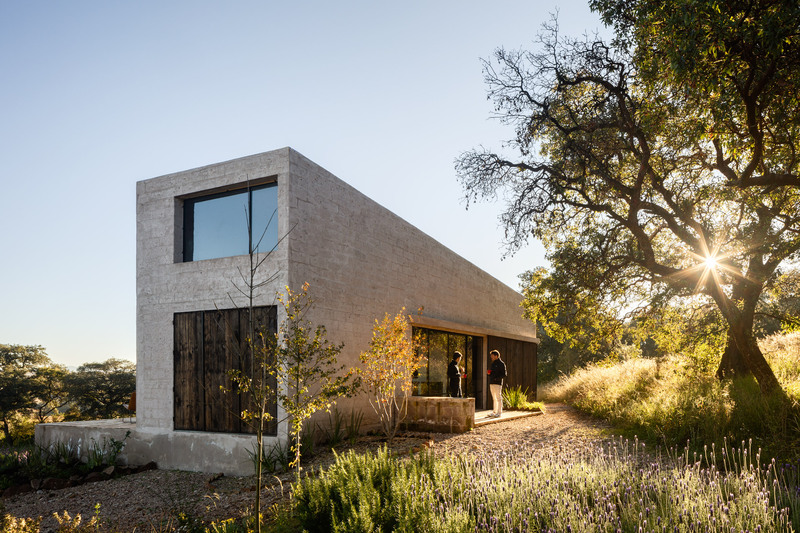 “The architectural project was mainly guided by the qualities of the environment, so we sought to establish a reciprocal dialogue between the construction and its natural surrounding,” said the studio. 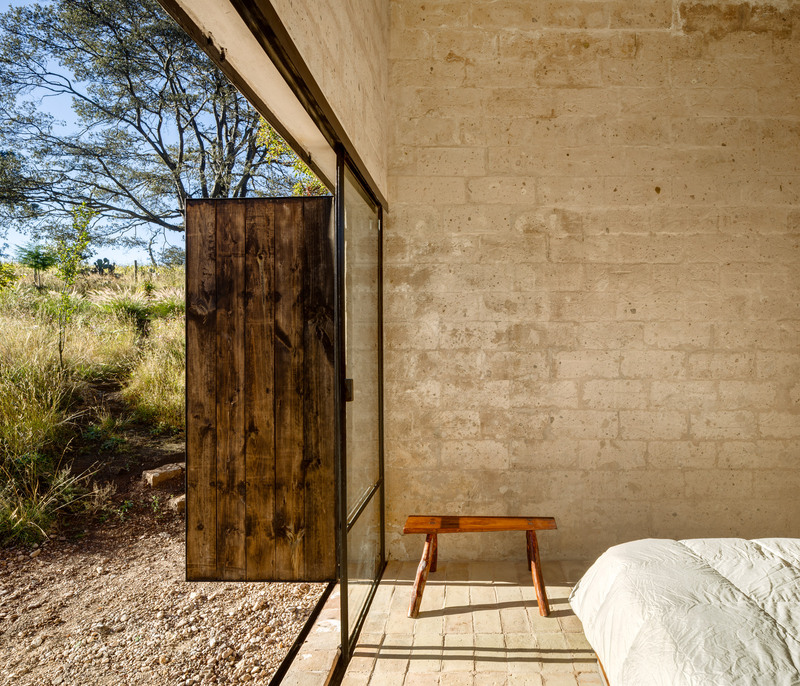 “We went for simplicity, minimal need of maintenance, and intimacy with the panorama and the land,” it added. Behind the fireplace is one of the brother’s bedroom. Floor-to-ceiling glazings runs along the back wall, with doors that opens onto a small patio. At the opposite end of the bedroom is the bathroom and service area, which acts as a platform for the other sleeping nook. 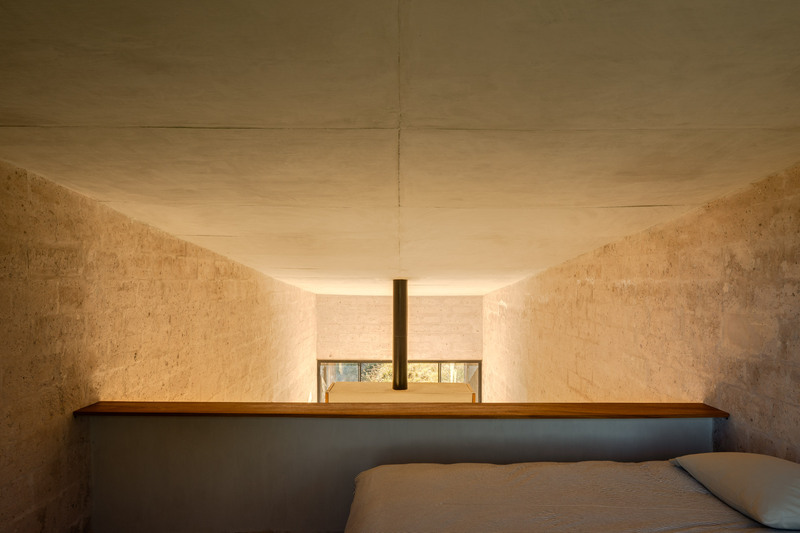 The other brother’s bedroom is built in the mezzanine above accessed via a wooden ladder. 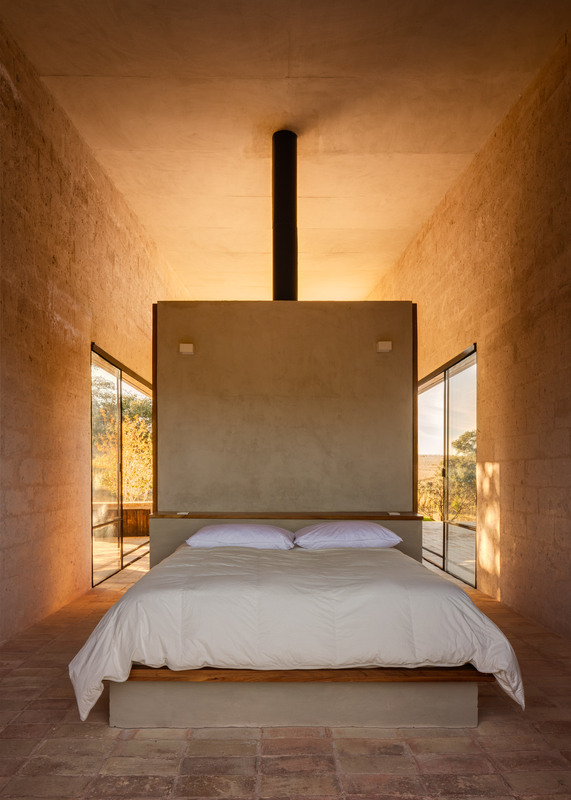 This room also gets plenty of light from a large opening that looks out onto the landscape. “The construction’s clear spaces become almost solely a container of views,” said the firm. 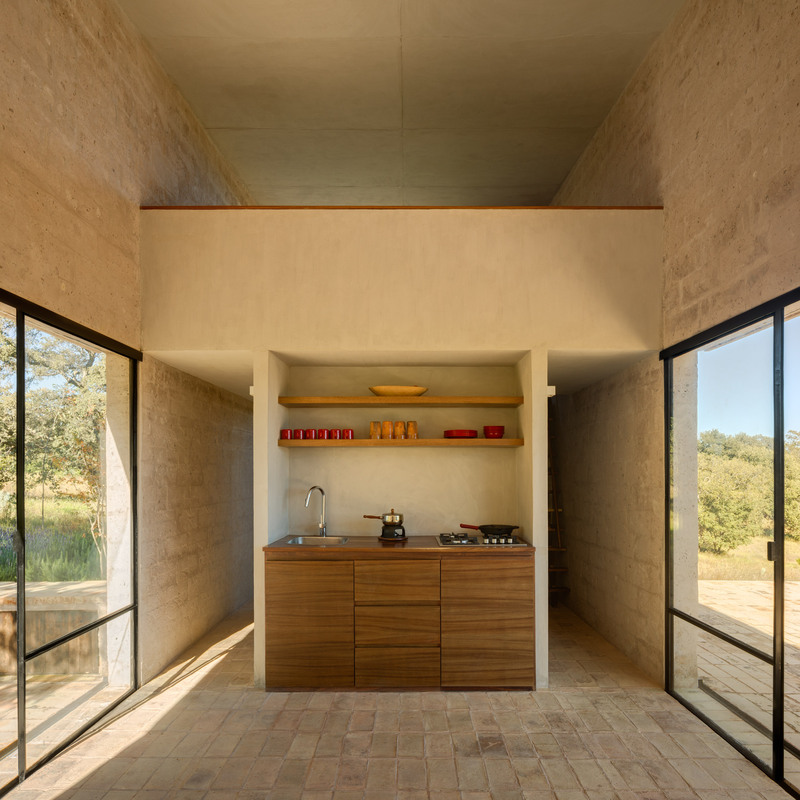 In addition to their interior living space, the siblings also benefit from a large terrace that roughly doubles the home’s footprint. A few steps lead down from here to a nearby pond, which is visible in aerial images of the project. 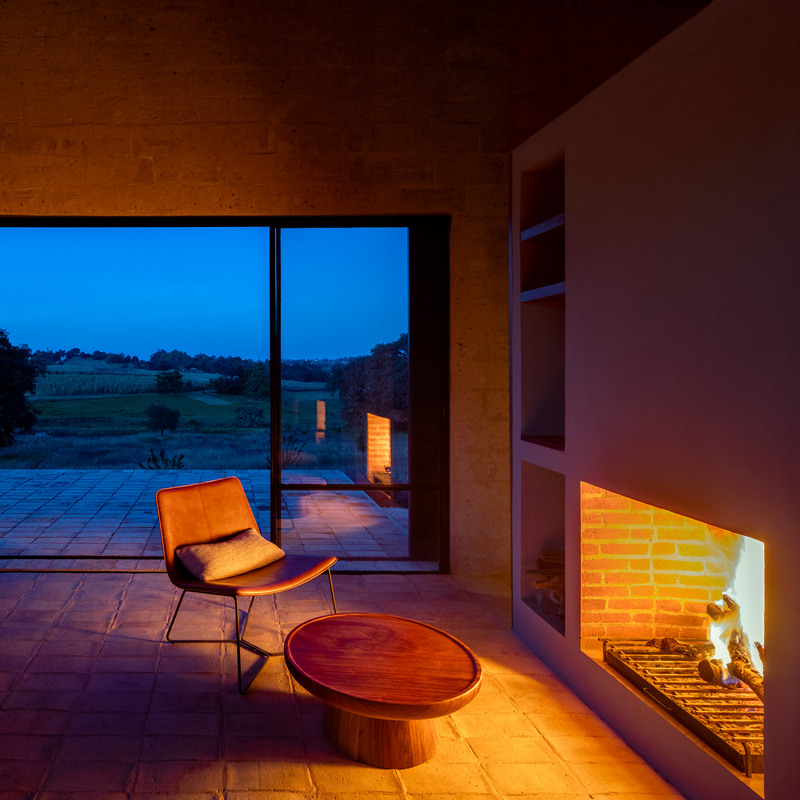 The post PPAA Arquitectos completes “isolated” Aculco retreat for two brothers in Mexico appeared first on Dezeen.